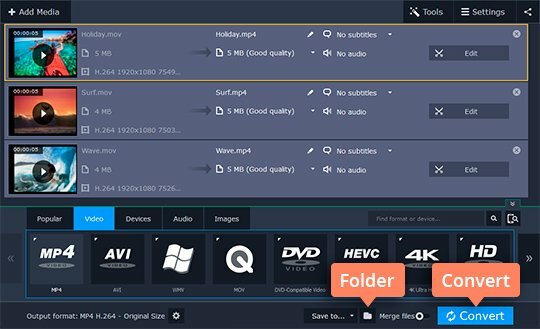 Want to find an MOV converter? Got lots of MOV videos you'd like to watch on your mobile device or a DVD player? 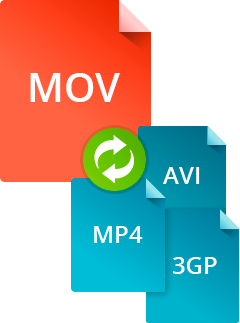 With the right program such as Movavi Video Converter, you'll be able to change the file format quickly and easily. 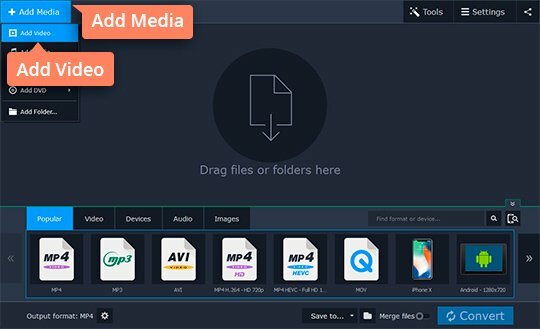 In this tutorial, we will show you how to use our Video Converter for converting MOV files to any popular media format, such as AVI, MP4, MPG, or AVCHD, as well as how for extracting music from your video and saving it in MP3 or other popular audio format. 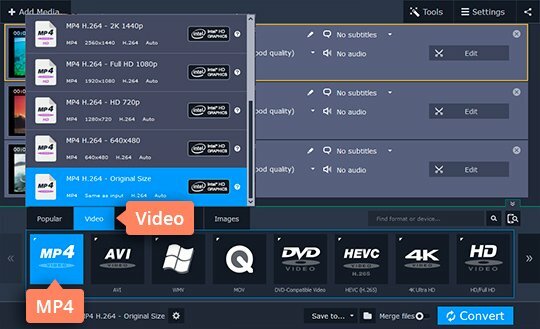 You don't need to be familiar with programming, video formats, or settings – just run the software, choose your video, select a preset, click Convert and that's it! Download the program and read this quick guide to find out how to convert MOV videos. After the download is finished, install the program. Launch Movavi Video Converter. Click the Add Media button and then Add Video to add videos. The file names will appear in the list of source files. At the bottom of the program interface, select the desired output video format or device preset. You can find the most popular format presets under the Popular or Video tabs. If you want to convert MOV to WAV or any other audio format to extract sound from your video, choose the desired audio format from the Audio tab. Click the Folder icon in the lower portion of the converter to specify where the software should save your converted files. After having finished conversion, you can minimize or close the program and transfer the videos to the mobile device. Turn it on and connect to the computer. Start the uploader, which will guide you through the uploading process. Please note: uploading may take some time depending on the size of your video files. And that's all there is to converting MOV video with our fast and easy MOV converter! Now, whenever you want to convert to the MOV format and vice versa, just run the program and repeat these steps.